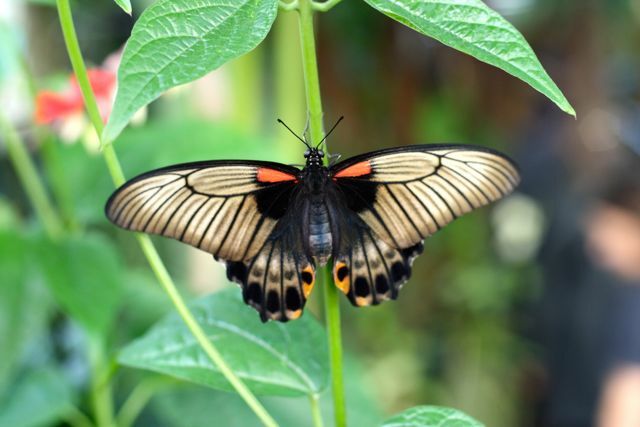 From mid January until the 9th March, The Glasshouse at RSH Wisley is filled with some of the most beautiful butterfly species from around the world. Showcasing it's world class plant collection, The Glasshouse at RHS Wisley is a huge glass structure that is equal in size to ten tennis courts. 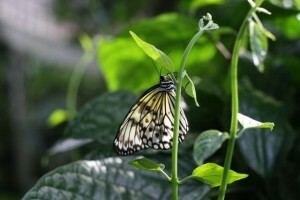 It has three zones, recreating tropical, moist temperature and dry temperature habitats. 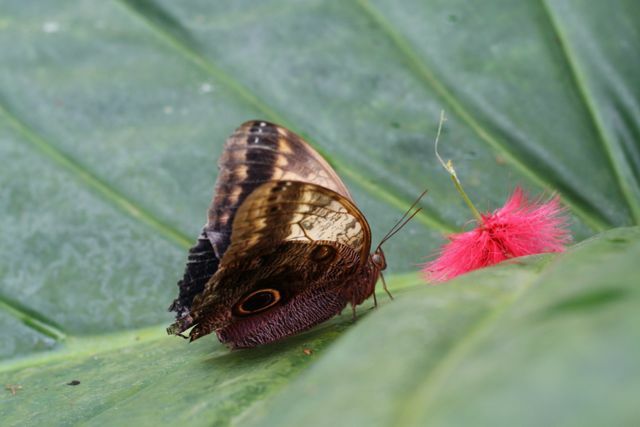 In itself The Glasshouse is a spectacular experience, but never more than when the air around its jungle of palms, tree ferns, creepers and exotic flowers is filled with exquisite butterflies. 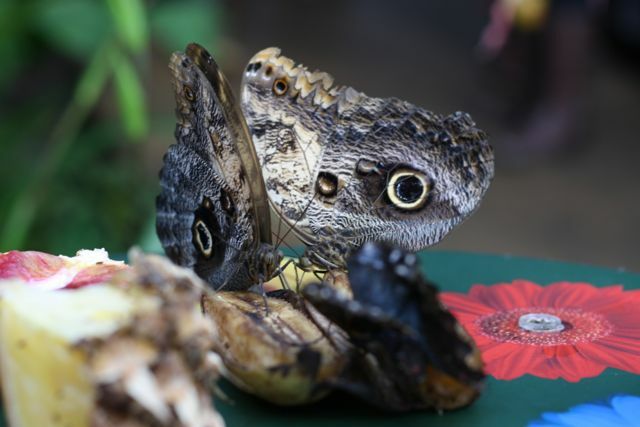 Over the course of the seven week event visitors can expect to see over forty different species of butterfly. During our recent visit we spotted at least twenty and got very close to a number. Visitors who stand still long enough might even find themselves lucky enough to have one land on them. Booking isn't required but at half term and weekends there can be a queue and a wait of around 40 minutes. An allocation of tickets for timed slots are available - to book call 0845612 1253. 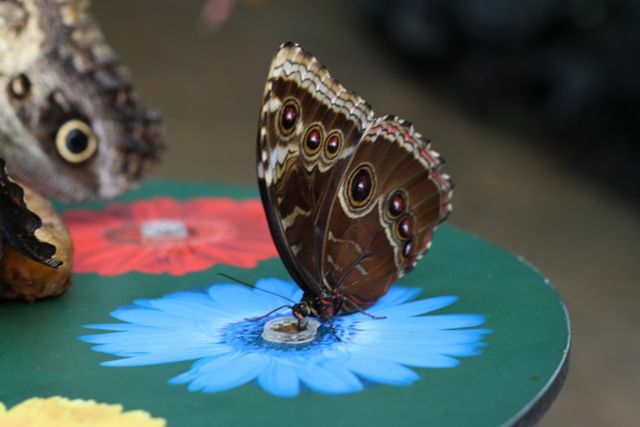 From Top to bottom - Tree Nymph (Top left), (below) Owl, Asian Swallowtail, Achilles Morpho, Blue Morpho. I am no expert - spotters guides are available at the entrance to The Glasshouse.